What is it about the color purple? 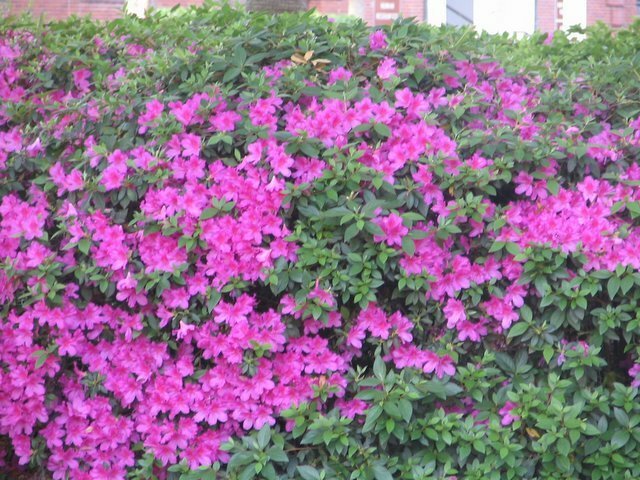 I love azaleas!! Took this photo on the base at Parris Island last weekend. I have some azaleas in my yard and hopefully one day my bushes will be this big. My bouganvilla that I got for Mother's Day last year died this year during one of the freezes. I'm going to have to go out and buy a new one. LOVE Bouganvillas!!! I love spring, I love Easter. Makes me smile when I get up in the morning and look out the window at the beautiful flowers, green trees and shrubs and the sunshine! That's just beautiful! Love purple, love purple flowers even more.